The Amerock BP55273PN Blackrock 1-1/2in(38mm) LGTH Knob is finished in Polished Nickel. The BlackRock collection offers sleek simplicity with a contemporary indulgence. This eclectic line boasts bold shapes and sizes. A modern metallic finish, Polished Nickel offers the beauty and luster of sterling silver without the cost or care it takes to maintain. The Amerock BP29368ORB Candler 1-1/2in(38mm) LGTH Knob is finished in Oil-Rubbed Bronze. The Candler collection is distinctively elegant, with strong lines and soft curves that blend a touch of femininity with enduring class and timeless character. The Oil-Rubbed Bronze finish is a rich, dark brown old world finish with striking light and dark accents. 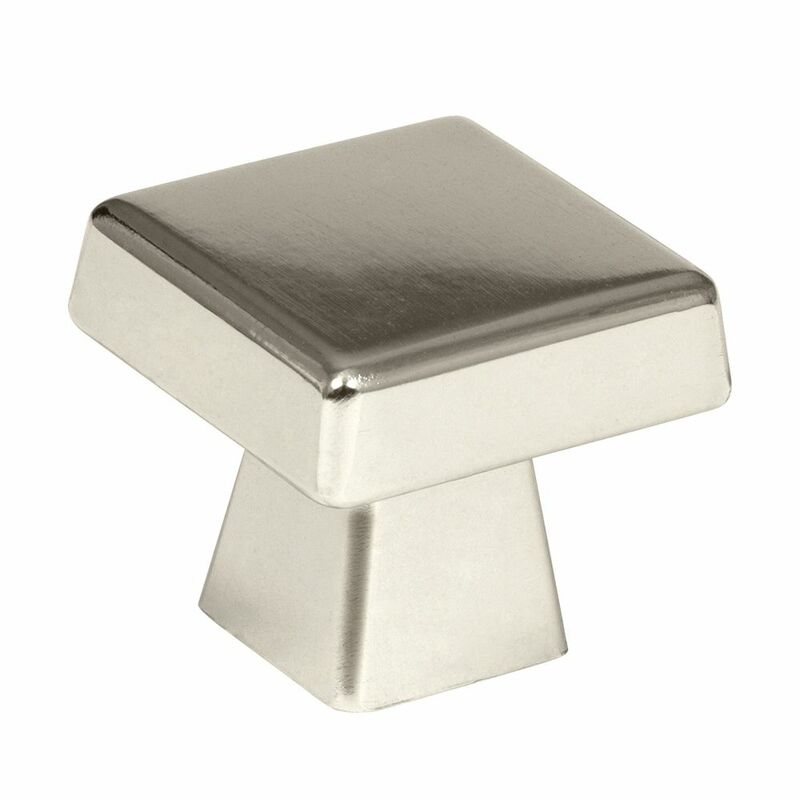 Blackrock 1-1/2 Inch (38mm) LGTH Knob - Polished Nickel The Amerock BP55273PN Blackrock 1-1/2in(38mm) LGTH Knob is finished in Polished Nickel. The BlackRock collection offers sleek simplicity with a contemporary indulgence. This eclectic line boasts bold shapes and sizes. A modern metallic finish, Polished Nickel offers the beauty and luster of sterling silver without the cost or care it takes to maintain.